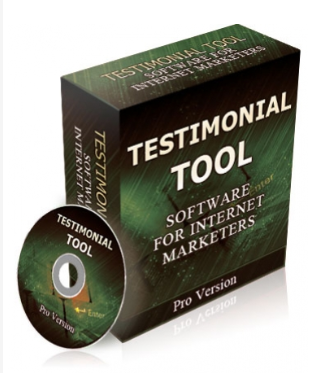 This software makes it easy to store and find all of your testimonials. You can also generate the HTML code for your web pages. Each testimonial can be stored with the product name it's associated with, the person giving the testimonial, their website and email address. It allows you to easily and quickly customize the look and feel of the published testimonial. Gives a solid and convenient method of recording and managing all your customer comments and testimonials. Simple yet effective system lets you store any and all relevant information - making it much easier to keep track of. Built-in HTML generator saves you even more time and energy - just copy and paste the code into your web pages.